Tech Tips have designed a press on nail with a hidden stylus under each tip so every finger acts a stylus with your touch screen devices. I love using my stylus on my ipad, but a pen it too awkward to use on a phone. 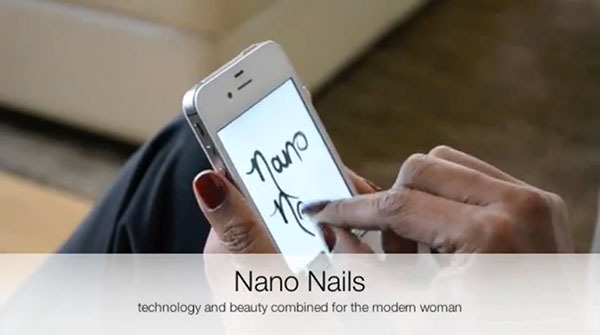 I’m still not convinced about press on nails, but this video intrigues me. Due to be released in May, there’s still no word as to the colour range available. Or whether you can paint your own nail art on them, which are the really important questions. Are you a fan of press on nails? I’ve never worn press-ons, but I would seriously consider these! I’m still holding on to my old blackberry simply because the real keyboard is so much easier with long nails.